On Sunday, May 7, 2017, Emmanuel Macron, officially became the new president of France. He was able to defeat the anti-EU Marine Le Pen, with his new and moderate views on policy. He promised to revive his country and the continent. France had more than enough of the anti-union, antisemitism policies with Le Pen’s father, who held a seat in the European Parliament from 1972-2011. He ran for the French presidency five times and lost every time. The French people did not want the right-wing populism accepted by the U.K. and U.S. This election brought an end to a confusing campaign. Valentin Coutouly, a college student, expressed relief from the fear that Le Pen might really win. According to Macron, in his acceptance speech to the country, he wishes to bring a renewed trust and hope to the government, an opening of a new chapter in history. 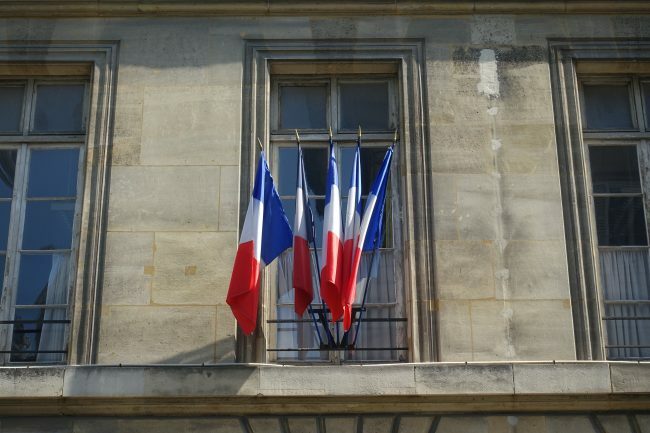 The French voters have strengthened France’s position as a central pillar of the EU. Macron worked with President François Hollande until he went out on his own and founded En Marche! (Forward) in April 2016. This political party is only in its beginning stages but already has slightly less than a quarter of a million members. This young president-elect married his high school French teacher Bridgitt Trogneux nine years ago, even though his parents attempted to break them up when he was 15 by sending him to Paris to finish school. Macron, who has been repeatedly criticized for not detailing most of his policies, was clear on his desire for politics without party guidelines. However, he has not said how this would be done. He has detailed a $50 billion investment plan for renewable energy infrastructure, job training, and modernization. The president-elect pledged to introduce $10 billion in local housing tax exemptions and reduce unemployment by more than a 2 percent margin. Macron and Le Pen went head-to-head in a TV debate days before the election. A poll was taken immediately following their face-off, and 63 percent of voters thought the En Marche! candidate was more persuasive. Le Pen had hoped the populist movement, which made Donald Trump president of the U.S., would make her the president-elect of France. Macron walked on stage, at the Louvre Museum for his victory party, to the EU anthem, “Ode to Joy,” by Beethoven. He addressed his supporters while they were cheering and waving the French flag, acknowledging the task ahead was enormous and would start May 8, 2017. He also expressed his respect for the angry emotions of Le Pen’s backers and said he will work hard for them, so they will not want to vote for the extremists. Le Pen has taken more of a bitter attitude. After conceding to her supporters, she vowed to oppose Macron’s government. She went on to say that the election drew a line dividing the patriots and the globalists. Rejecting the far-right ideals and policies of the National Front candidate will ease anxieties of the political establishment in Europe. This puts enormous pressure on the En Marche! candidate to make good on promises to improve the French Bureaucracy and the EU; both have repeatedly shown an unwillingness to change. The new French president is the youngest leader since Napoleon Bonaparte. Macron opposed the country’s traditional political parties and started his own movement, En Marche, meaning onward. This sent the message to the people that France needs him because he is creating a new path.